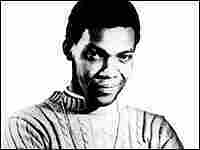 Reggae Pioneer Desmond Dekker Rock historian Ed Ward remembers Jamaican singer Desmond Dekker, who died last week at the age of 64. His 1969 hit "Israelites" was for many Americans the first reggae they'd ever heard. Rock historian Ed Ward remembers Jamaican singer Desmond Dekker, who died last week at the age of 64. His 1969 hit "Israelites" was for many Americans the first reggae they'd ever heard.